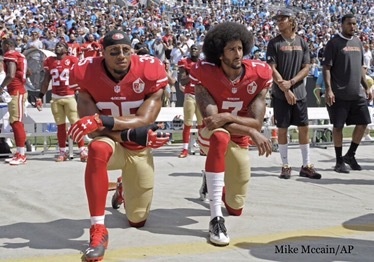 America, Take a Knee … with Liberty and Justice for All. – Heroin. Stop the Silence. Speak the Truth. Why groups of white men can march through the streets of Charlottesville armed to the teeth and spewing hate, but a single man of color who tells a police officer he is legally armed is shot dead in front of his family during a traffic stop. Why anyone has a right to judge who we love or who we marry. Why this land where people came so they could be free to practice their religion has become so intolerant. Why so many in this country once referred to as a great melting pot no longer embrace that ideal. Why the Bible is being used to take away rights from citizens. ← Very Important 60 Minutes Segment! I just wanted to say thank you for your work here. I hope your son is doing well. I am also an addict. I keep all in my prayers.